You can grab the new update through an over-the-air update accessible by going to Settings > General > Software Update. If you don't want to download the update wirelessly due to a limited or restricted data plan, you can also download the update by connecting your phone to the latest version of iTunes. 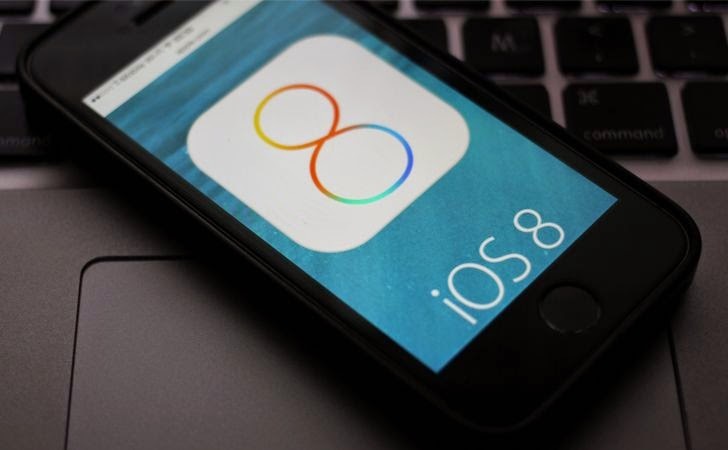 iOS 8 was first revealed publicly at the Apple’s Worldwide Developer Conference (WWDC) in June, showing off an improved Notification Centre. Apart from the security patches, iOS 8 has a number of new features and functions tied to your location. Additionally, it has new privacy settings, which allow users to limit how long data is stored for, such as message expiry features and new private browsing settings. The two app-installation vulnerabilities were also patched, both have the effect of allowing a local attacker to install unverified apps and both were reported by the evad3rs crew, a group that releases jailbreaks for iPhones. Also it patches a race condition flaw and a path traversal issue. “A path traversal issue existed in App Installation. A local attacker could have retargeted code signature validation to a bundle different from the one being installed and cause installation of an unverified app. This issue was addressed by detecting and preventing path traversal when determining which code signature to verify,” the Apple advisory says. The iOS 8 update pack requires an astonishing 5.7GB of free space to install on an iPhone and 6.9GB on an iPad, so if your iOS devices are filled with games, you may need to delete something like half a dozen your favorite games in order to free up some space for the new update. The latest version of Operating System supports iPhone 4s handsets and later, iPad 2 tablets and later, 5th-generation iPod touch devices, iPad Air, iPad mini and iPad mini with Retina display. Once the next version of OS X is released, likely next month, iOS 8 will allow you to sync phone calls, files, and SMS messages between iOS 8 devices and Macs.